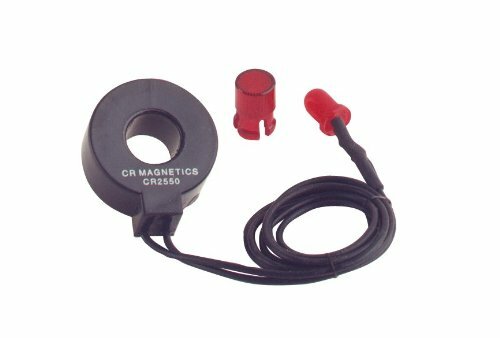 This CR Magnetics CR2550 series current indicator combines a current transformer and a two-color LED, and is suitable for use in industrial automation systems. The indicator is self-powered for quick installation, has a thermoplastic housing, and the LED is connected to 11" leads. This current indicator is Underwriters Laboratories (UR) Recognized and Conformité Européenne (CE) certified for quality assurance, and is suitable for sensing alternating current (AC) loads. CR Magnetics manufactures electrical sensors, indicators, and displays. The company, founded in 2004, is headquartered in Saint Louis, MO. If you have any questions about this product by CR Magnetics, contact us by completing and submitting the form below. If you are looking for a specif part number, please include it with your message.